Looking for hotels in Pudong? Offering stunning views of Shanghai skyline, the gorgeous Four Seasons Hotel Pudong Shanghai stands in Lujiazui financial district in Pudong New Area. The Club level was one of the best I've ever been, too. The services......breakfast, tea and dinner/cocktails was amazing and well worth the extra charge. Food was superb and the staff was beyond perfection. I wouldn't think of staying anywhere else in Shanghai! Located in the Pudong district of Shanghai, Future Shangju Hotel provides accommodations with a terrace and free WiFi. Robot service.Staff are friendly,especially 孙伟婷. Thank you very much, Miss 孙. Featuring a garden, a terrace as well as a shared lounge, Shanghai Daoli one step garden(PVG&International Resort) is located in Shanghai, 8 miles from Shanghai Disneyland. My second time to stay here, good breakfast and good service, very Chinese culture, we all like here. Featuring an indoor pool, the Shanghai Dongjiao Hotel is in Pudong New Area, Shanghai. Free Wi-Fi access is available in all areas. 20 minutes’ drive from Shanghai Disneyland, SHANGHAI DECO Hotel offers accommodations in the Pudong district of Shanghai. Free WiFi and free private parking are available. Great price! Perfect location, service, 24 hour free airport shuttle, beds are AMAZINGLY COMFORTABLE, and overall great hotel for a long layover in Shanghai. Ideally housed in an iconic building in Lujiazui financial district, IFC Residence is around a 3-minute walk from Jin Mao Tower, Shanghai World Financial Center, Shanghai Tower and Oriental Pearl TV... I was upgraded upon arrival. The hotel is beautiful, very central and easy to reach by metro from airports. Also a great gym and pool. The hotel is connected directly to the IFC mall which has restaurants and it is easy to walk around the outside area, close to the Pearl Tower and park. I did not eat in the hotel as there was a kitchen in the suite and a great supermarket in the mall. The QUBE Hotel Pudong is located around 984 feet from Chuansha Metro Station (Line 2), adjacent to the Chuansha Bailian Shopping Mall. Great location, great staff and great room. Overlooking the vast, scenic Century Park, the mid-scale business hotel Dorsett Shanghai Hotel stands right besides Century Park Metro Station (Line 2) and around a 5-minute drive away from Longyang... It's such a wonderful hotel in a very convenient and beautiful location. This luxurious Grand Kempinski Hotel Shanghai in Lujiazui Financial Area features a penthouse indoor pool, 7 dining options and a pampering spa. Beds were very comfortable. The location was central to everything. Staff very responsive. Located in Shanghai, 6.2 mi from Shanghai New International Expo Center, Ramada Shanghai East features a restaurant and free WiFi. Guests can enjoy the on-site restaurant. Very clean rooms. All staff very helpful and nice. Located in Pudong District, approximately a 22 minutes’ drive from Shanghai Disneyland, Shanghai Forson International Boutique Hotel Pudong Airport Chuansha Disney Store 1 features air-conditioned... All the employees were very helpful and friendly. Ms.
Only 3 minutes' drive away from Zhangjiang Hi-Tech Park, Royal Century Hotel Shanghai features an indoor pool, a spa center, a fitness center and well-equipped guestrooms with modern, elegant decor. Comfortable big room, staff very friendly all the time and food at restaurants at affordable price. Located in striking Jinmao Tower, an elegant Art Deco architecture, Grand Hyatt Shanghai is surrounded by Super Brand Mall and the famous Oriental Pearl TV Tower. Location is perfect, staff and services fascinating, food and beverage excellent. Located in the heart of Pudong New District, Sheraton Grand Shanghai Pudong Hotel & Residences offers accommodations with a 32-inch flat-screen TV. Subway right in front of hotel. Tangqiao station. 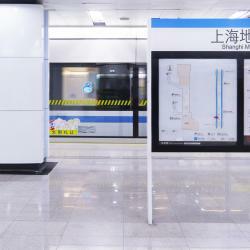 Just a 5-minute stroll from Carrefour and Chuansha Subway Station (line 2), Jiahe Shangju Hotel features personalized service and free seasonal drinks. It's a perfect place to stay if you want to go to Disneyland in Shanghai. Just a 2-minute walk from Shanghai Oriental Art Center, Parkview Hotel is designed by the renowned French architect Paul Andreu. It offers free bicycle rentals and free WiFi access in all rooms. As I'm Vegiterian, In China finding pure veg is difficult. Offering sweeping views of Huangpu River, Oriental Riverside Bund View Hotel is located in Lujiazui Financial and Trade Center. It features an indoor pool, spa and rooms with free WiFi. Overall amazing stay. Spotless rooms with fantastic bathrooms. Very friendly staff. Holiday Inn Shanghai Jinxiu is located in Pudong District, a 15-minute drive from Shanghai International Exhibition Center. Modern and stylish, it offers an indoor pool and a rooftop restaurant. Everything was good and excellent. Lin Yin Art Hotel Shanghai provides free WiFi and rooms with air conditioning in Shanghai. This hotel offers free shuttle service and a 24-hour front desk. Thrilled with all aspects of our stay.